Small Biz Ahead | Small Business | Starting a Business | Listen Free on Castbox. 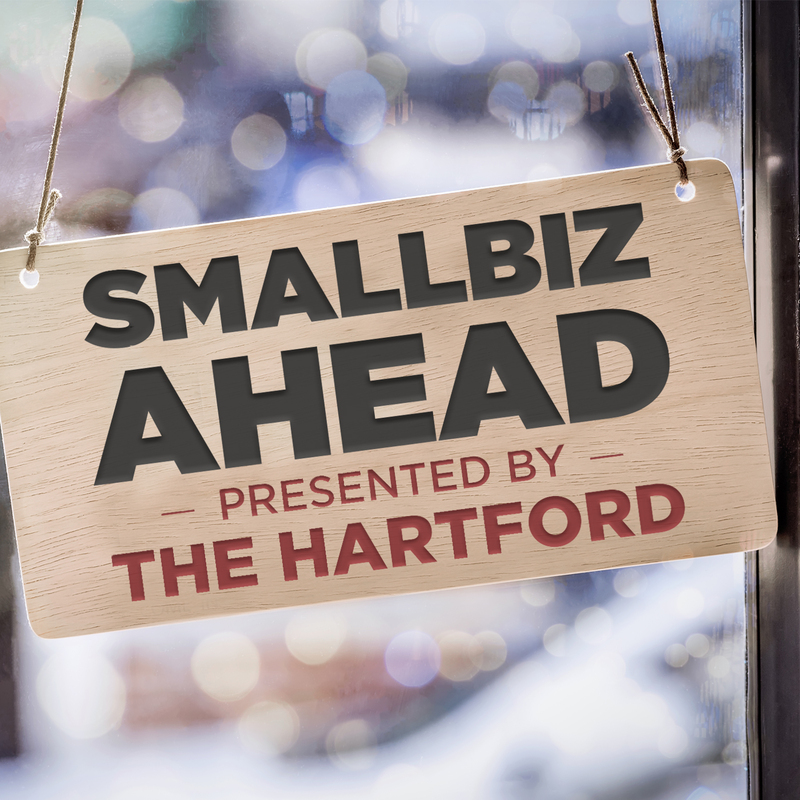 The Small Biz Ahead podcast is a weekly podcast that answers small business owner's most common questions. Hosted by Elizabeth Larkin and small business owner and expert Gene Marks, this weekly podcast will help you to run your business more efficiently. Topics include cash flow management, managing employees, customer service and retention, productivity, and generating new leads for your small business. Are you a small business owner who’s unsure how to spend your most recent profits? While it might be tempting to use all that money to pay off any outstanding debt, you should also consider setting aside some of your profits and reinvesting them back into your small business. In episode #149, Gene Marks and […]The post What To Do With Year End Profit At Your Small Business (Podcast) | Episode #149 appeared first on . At first glance, a competitive vacation package might seem like one of the most reasonable benefits you could offer your employees. After all, everyone deserves an occasional break now and then. However, what should you do when a staff member decides to take advantage of your business’s generous vacation policy and decides to use all […]The post What To Do When Your Employee Wants To Take All Their Paid Time Off At Once (Podcast) | Episode #148 appeared first on . When it comes to networking, open communication is the key to fostering strong relationships and building a solid customer base. But, what happens when your target audience consists primarily of high level decision makers who have an entourage of gatekeepers to screen their messages? As daunting as it may seem, there are several approaches that […]The post What To Do When You Can’t Reach the Decision Maker To Sell Them Your Business (Podcast) | Episode #147 appeared first on . Are you concerned about the security of your shared business documents? You’re not alone. From hackers to data breaches, the internet can seem like a scary place for small business owners who need to share confidential information on a daily basis. Still, while it is impossible to prevent every potential security threat, there are several […]The post What’s the Safest Way To Share Files? (Podcast) | Episode #146 appeared first on . Are you considering joining a FB group to promote your business, but unsure whether it’s really worth your time? While various group page restrictions might make traditional advertising seem impossible, there are other approaches that small business owners can use to bypass these policies and grow their existing client base. In episode #145, Gene Marks […]The post Should You Join Facebook Groups to Promote Your Small Business? (Podcast) | Episode #145 appeared first on . Entering a relationship with a supplier or vendor is one of the most important decisions that you will make as a small business owner. After all, your vendor’s performance can have a direct impact on both the efficiency and service quality of your business. So, how do you know if a particular vendor is a […]The post How To Decide Which Vendors Are Right For Your Small Business (Podcast) | Episode #144 appeared first on . Does your small business require customers to meet a certain purchase minimum before they can pay with their credit cards? While this idea might seem like a practical way to offset the additional costs of credit card fees, it can actually have the opposite effect and cause you to lose a lot of business. In […]The post Will My Small Business Be Impacted If I Set a Minimum for Credit Card Purchases? (Podcast) | Episode #143 appeared first on . Are you trying to find a more affordable alternative to your business’s existing health plan? As the price of health insurance continues to rise, association health plans offer small business owners the opportunity to provide their employees with quality healthcare benefits at discounted premiums. So, what does a small business need to do in order […]The post Should You Consider An Association Health Plan For Your Small Business? (Podcast) | Episode #142 appeared first on . Every small business owner is bound to experience moments when they’re tired of their work. However, in some cases, those feelings of exhaustion or disinterest might be more than just fatigue; they could be symptoms of burnout. So, what can you do to take care of yourself during this stressful time? In episode #141, Gene […]The post Are You Burned Out From Running Your Small Business? Here’s What To Do Differently (Podcast) | Episode #141 appeared first on . With the ever-mounting costs of running a startup, many small business owners find it difficult to justify the additional expenses of attending an industry conference, particularly when they have more pressing matters to attend to at the office. Still, despite the extra time and money involved, conferences provide business owners with an invaluable opportunity to […]The post Are Conferences Worth My Time As A Small Business Owner? (Podcast) | Episode #140 appeared first on .